The first specialist A&E department in the country for patients aged over 80 is to be set up next month. 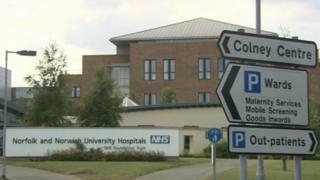 The plans by the Norfolk and Norwich University Hospital have been welcomed by Age UK. Elderly patients will be sent straight to a dedicated emergency department when they arrive at the hospital. Age UK said the earlier older patients are assessed, the better, and the dedicated service could make “a huge difference”. On average, the hospital’s A&E department has 350 people a day through its doors, and of those 50 are aged over 80-years-old. Dr Martyn Patel, consultant for older people’s medicine at the trust, said the population of older people in the county was “continuing to grow at a fast rate”. “This means we’ve got to do something that no-one else has done before in the UK, to ensure our older patients are able to receive the best care most appropriate to their needs in a timely manner,” he said. The trust said a team of emergency doctors, geriatricians and specialist nurses would provide care for the elderly patients. There are more people aged 90 and over in the UK than ever before. There were 571,245 people aged 90 and over living in the UK in 2016, according to the Office for National Statistics.